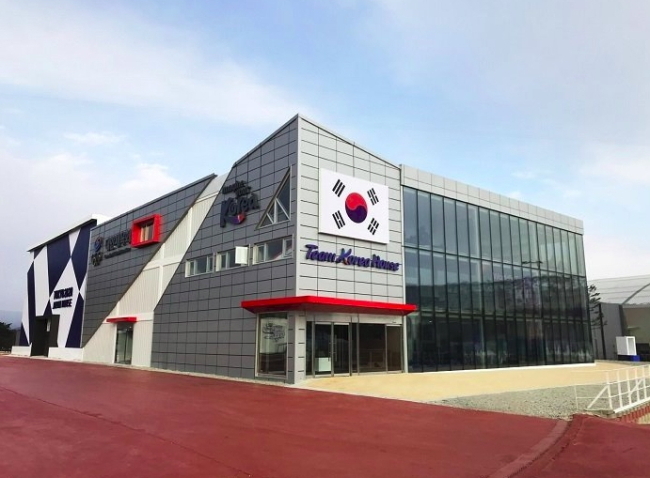 Team Korea House, a facility that promotes the country and offers support for international athletes and guests, reopened its doors Friday for the 2018 PyeongChang Winter Paralympics. The house, which received some 200,000 visitors during the Winter Olympics from Feb. 9-25, has renovated its interior for the Paralympics, which run from Friday to March 18. On its first floor, an exhibit titled “Touring Korea in 360 degrees” shows photos and other works promoting Korea’s tourist attractions. An experience zone featuring K-pop and Korean traditional culture is available. The height and placing of all exhibitions and installations have been adjusted to allow easier access for people with disabilities. Visitors are able to experience miniature versions of Paralympics sports, such as wheelchair curling and ice sledge hockey, in the facility’s hall. B-boying performances, nonverbal musicals and other shows will also take place. The second floor comprises a press room, broadcast studio and a game footage analysis room. Offices and an athletes’ lounge are located on the third floor.